Part of the fun of vacationing in different parts of the country involves sampling the local cuisine. 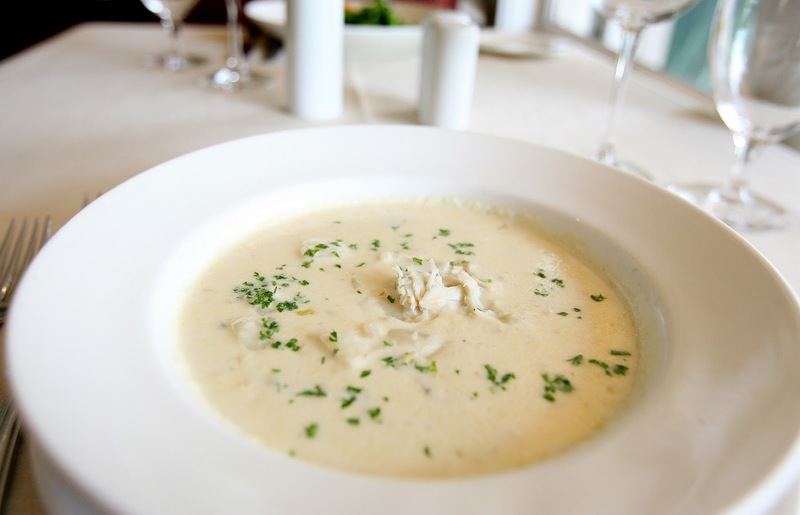 She-crab soup is so loved in Coastal Virginia that an annual event has been devoted to it – the East Coast She Crab Soup Classic. Foodies are eagerly awaiting this year’s gala on April 13, when restaurants will compete for People’s Choice Awards and Critics’ Choice Awards. The dish is a delectably rich bisque made of Atlantic blue crab meat, crab stock and cream. It’s flavored with shallots, mace and a little dry sherry. You simply must try it! Ticket prices range from $20 to $30. Hours are from Noon to 3:30 p.m. The location is the 24th Street Stage / Park at 2400 Atlantic Avenue. April 26 through 28 are the dates for Something in the Water, a three-day music festival that will feature an array of bands and solo performers. It will also include screenings of the soon-to-be-released Netflix movie The Burial of Kojo, as well as a popup church and Trap Karaoke. Tickets may be purchased online. Hours are from 10 a.m. to 10 p.m. The location is the 5th Street Beach Stage at 500 Atlantic Avenue. With spring upon us, the camping season has fully returned! Check the Hot Deals page on our website for irresistible promotions on cabin rentals, RV sites, and tent spots. We offer new Deluxe Patio RV sites, Deluxe Cabins with bathroom and linens, rustic Camping Cabins in the woods, and traditional tent sites. While you’re here, you can enjoy numerous attractions that are re-opening for the season, such as our very own Adventure Works zipline tour, our upscale Pocket Park filled with games for all ages, and the return of planned activities on key weekends like Easter! Of course, it’s still chilly enough at night to savor a cup of hot chocolate or a toasty marshmallow by a warm campfire. Learn more on our website.